Violence prevention advocates and educators of America, we want to coach you. We know that the stakes are high; research shows that the effectiveness of our programs depends on both the substance and delivery of our content. Not only do we need to have strong arguments—we need the presentation skills to make sure they reach our audiences. We understand that resources are slim, and that the burden of presenting and designing programs rests on a small group of overtaxed people. This is your opportunity to actually receive the training you deserve, to do the job you’ve been asked to do, to fight for the mission you believe in. Spend four days with us, and we will provide you with the skills to take your practice from good to great. Whether you seek the skills to design your own programs or to creatively deliver mandatory content, we can help. We will teach you how to design programmatic content that incorporates a deep understanding of how our audiences justify and reason about sexual violence, and how to build a curriculum driven by both empathy and factual information. In addition, our focus on presentation skills will help you identify your strengths and employ them consistently, even with your most challenging audiences. We keep our class sizes small in order to give each participant focused attention. Everyone receives enough time both to practice delivering their content, as well as in learning how to coach others back home. Our training team has over fifty years of training experience combined: we are able to integrate research and practice in meaningful, actionable ways. You will walk away from the Force of Awesome Institute (FOAI) with the ability to apply what you’ve learned and be the best educator you can be. Join us for our upcoming FOAI. Be inspired, leave empowered. 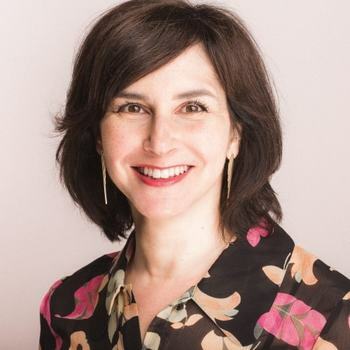 Dr. Gail Stern is the co-founder and Chief Visionary Officer of Catharsis Productions, the largest provider of military sexual violence prevention programs for the Department of Defense (DoD).